The data sharing policies adopted by the GIS office of a Greek city, initially adopted to improve internal operations, have grown into robust open data practices that support resilience and smart community goals. The city now plans to adopt a Hub pattern to realize the full benefits from its geospatial data. 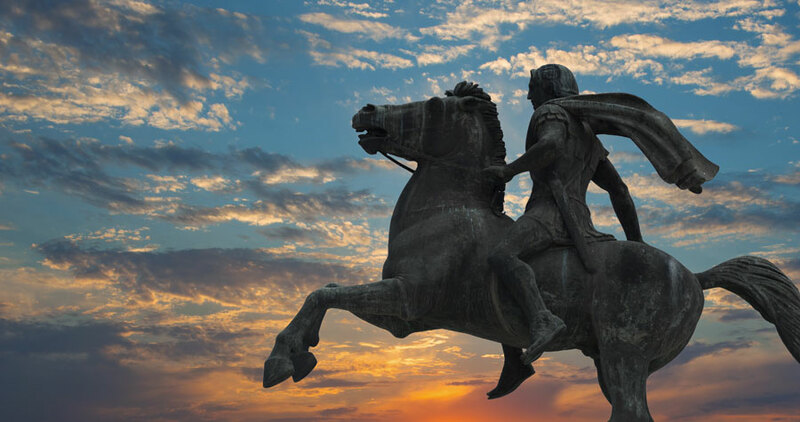 This statue of Alexander the Great astride Bucephalus is located on the waterfront, one of the most popular areas of Thessaloniki. Thessaloniki, the second-largest city in Greece, began using GIS about 10 years ago for basemapping purposes in its department of building and planning. The department soon realized that GIS could improve its decision-making capabilities and provide better oversight for capital improvement and other construction projects as well as contribute to policy initiatives. 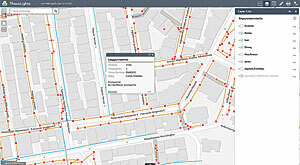 The city's use of GIS gradually expanded so that—by 2008—it had centralized all the city's GIS work by establishing a GIS office in the city's department of building and planning. The city is currently using several Esri products to develop and serve Web GIS applications that include a city guide, georeferenced building codes and regulations, optimized routes for waste collection, electrical distribution modeling, business permit access, and land-use planning. 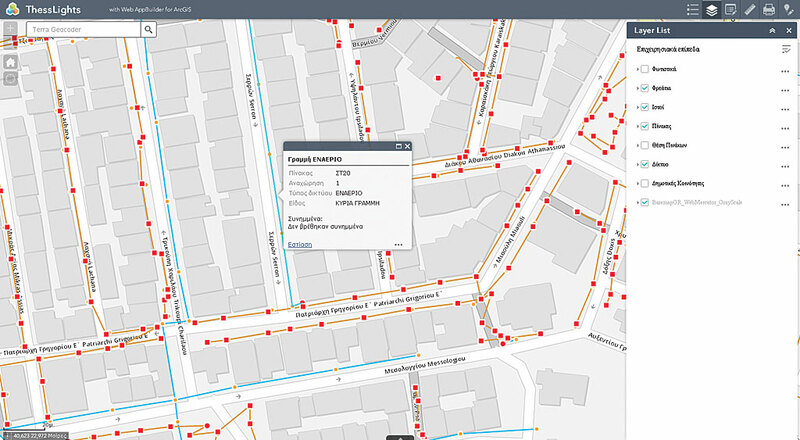 Thessaloniki implemented a centralized GIS portal to make its data readily accessible. Most datasets are freely available, with access to only some datasets restricted to city employees and business partners. The many datasets the city's GIS office manages for the portal—demographic information, the built environment, transportation, environmental data—allow the city to provide strategic, up-to-date geospatial data to all departments. The portal is constantly being updated with new data collected by its departments. The municipal government is also developing partnerships with the city's utility companies. A mutual cooperation agreement with Greek natural gas provider DEPA has already been established. Agreements with other utilities are planned. A partnership with the local public transportation organization will also allow the data it collects to be included in the database. The role of the city's geospatial data was further enhanced when, in late 2014, Thessaloniki was selected to join the Rockefeller Foundation's newly formed 100 Resilient Cities program. According to the foundation, "City resilience reflects the overall capacity of a city to survive, adapt, and thrive no matter what kinds of chronic stresses or acute shocks they experience." The program evaluates a city's resilience in four strategic areas: health and well-being; economy and society; infrastructure and environment; and leadership and strategy. That analysis is used to determine where a city needs to strengthen its resilience. The foundation then provides funding so that the city can hire a chief resilience officer, as well as support to build a resilience plan, and other related activities. Because the issues are complex and interrelated, the resolution of these challenges can take several years to complete. Thessaloniki's resilience challenges stem from its aging infrastructure, growing unemployment, environmental degradation, the influx of refugees, and the need to respond to natural disasters. Thessaloniki created a resilience strategy blueprint to deal with these challenges in an integrated way and mitigate their impact. "ArcGIS is central to our participation in the 100 Resilient Cities program," said Simos Misirloglou, the city's GIS analyst and manager. "It allows us to analyze each of the primary issues from a locational point of view and see how those issues might interrelate as we drill down through the data. It provides us with the information and direction we need to advance the project." Underground and aerial electrical networks were recorded and include the attribute data needed by the departments that oversee their operations. The city also participates in the European Innovation Partnership (EIP) for Smart Cities and Communities. The partnership supports the implementation of information and communication technologies with sustainable energy and transportation initiatives to develop innovative solutions for the environmental, societal, and health challenges facing European cities. The goal is to create scalable and transferable solutions in support of the European Union's 20/20/20 climate action objectives, which includes the reduction of energy consumption, greenhouse gas emissions, poor air quality, and roadway congestion. "The goals of both the 100 Resilient Cities and the Smart Cities and Communities initiatives reinforce one another," said Misirloglou. "Having the opportunity to participate in them helps generate cooperation and an exchange of information, which leads to solutions for the very real challenges faced by cities today." Open data is part of the EIP's smart communities initiative and fundamental to Thessaloniki's future Hub implementation. "The municipality of Thessaloniki has embraced open government so that we can maintain transparency to our residents, and part of this effort is open data," said Misirloglou. The city's open data program was initiated in 2014 and has published approximately 90 open datasets. These datasets are available in near real time across multiple platforms through the city's portal. An appropriate legal framework is in place that allows the data to be repurposed. "As the Thessaloniki GIS continues to expand, it is also important that it remains compliant with the European Union's INSPIRE Directive," said Misirloglou. "This is another aspect of engagement with other smart and resilient communities." The INSPIRE Directive has established standards for an EU spatial data infrastructure that expedites the exchange of geospatial data among member nations for the common good, such as the development of Trans European environmental policies. "When we first implemented GIS, we had no idea how quickly the technology would develop to facilitate virtually all aspects of the municipal decision-making process, while allowing us to better communicate with our constituents and for them to communicate with us," concludes Misirloglou. Thessaloniki's next step is to incorporate all operational software and data into a Hub pattern. [A Hub is a public platform for open data that facilitates exploring, visualizing, and downloading data and lets that data be combined in web and mobile apps.] This pattern will let the city focus on expanding the geospatial-based services it provides its citizens. Making data available online and in real time (or near real time) will boost efficiency and eliminate information bottlenecks. By making data available in intuitive apps, residents can play a greater role in shaping government. Misirloglou believes Hubs enable cities to reach their full potential by helping residents, businesses, universities, and government to work more efficiently, interact with each other in new and better ways, and increase the overall quality of life. A fully connected and interactive city uses networks, sensors, data analytics, and emerging technologies to become more efficient, productive, and livable and provide its residents and businesses with essential information that will let them take advantage of "everything the city has to offer." "The implementation of a Hub is part of our overall digital strategy that will be achieved through a common, disciplined approach to the technologies, tools, and processes that will enable broad participation and access to a wide range of services and information while improving our operational intelligence. We know that both our citizens and municipality staff are at their best when everyone works together," said Misirloglou. "Our vision is to use innovation and engagement to enable secure anytime/anywhere access to an open government for our citizens today and in the future."